It’s official! This year’s event surpassed its goal of $25,000 to raise $27,320! That means that the Medford Parks and Recreation Foundation and the Medford Rogue Rotary will split the proceeds equally in support of local youth programs. A very special thank you to this year’s event chairs, Natalie Williams (Medford Parks Foundation) and Jeff Benham (Medford Rogue Rotary). It was because of their leadership and hands-on approach, this event broke the all time fundraising record. 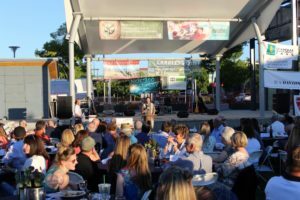 We look forward to Parks Uncorked 2019. "My kids absolutely love the City's summer day camps. When my husband was laid off, we went through some tough times financially. We're grateful for the scholarship assistance that allowed our kids to stay [in the day camps]." - Jennifer P.
"He (my son) had a great experience and can't wait to come back. The [financial] support made it possible for him to be in the camp all summer long. I'm not sure what we would have done without it." - Julio S.
Copyright © 2019 Medford Parks & Recreation Foundation. All rights reserved.